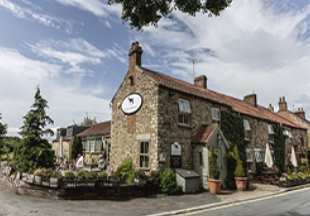 The Black Horse is set in the heart of the village of Kirkby Fleetham, in the North Yorkshire countryside. It has free parking, free Wi-Fi, a bar, a garden and an AA Rosette restaurant. An 18th century coaching inn of character with open fires, beams and horse brasses, standing in the cobbled square of this pretty Georgian market town. 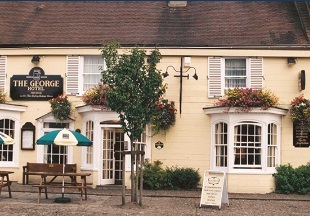 The George is a family-run inn, enjoying an excellent reputation for good food in both our Restaurant and Courtyard Bar, together with fine wines and real ales. Easingwold is full of antique shops, and is only a short drive away from historic York, The Dales, North Yorkshire Moors and the coast. 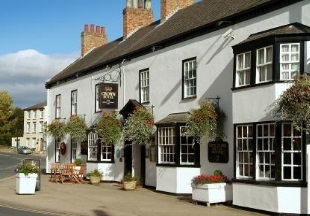 The Fat Abbot Gastro Pub is situated in the small village of Escrick just five miles from the historic city of York. Set in the grounds of the Parsonage Hotel & Spa, this newly renovated gastro pub offers a wealth of character and charm, with a contemporary twist. Enjoy open fires in the winter months and alfresco dining in the summer.Our gastro style dishes and homemade classics are created using locally sourced ingredients.. Welcome to the Angel Inn - quite simply a delightful place both to stay and dine! 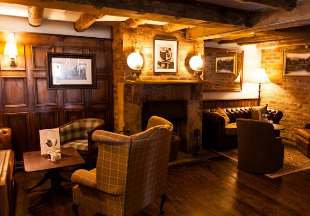 Over 500 years old, the inn is full of atmosphere and charm with oak beams, nooks, crannies and crackling log fires yet with a style that’s both sophisticated and up-to-date and, above all, supremely comfortable. 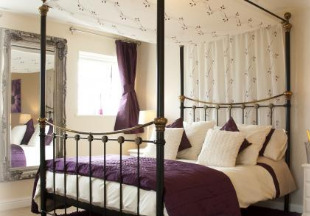 Renowned for outstanding food and hospitality, there are nine luxurious bedrooms making the Angel the ideal place to stay in a pretty Dales village. VisitEngland 5 Star Restaurant with Rooms. A 16th century coaching inn that has been brewing and serving ale to travellers on this site since the 14th century, the Crown Inn has undergone a major refurbishment whilst retaining the historic features of the inn. Stone flag floors, crackling open log fires, oak beams and elegant en-suite bedrooms are features of this sporting country inn. Using local suppliers and the finest Yorkshire produce we change our whole menu weekly to reflect the best quality seasonal ingredients. 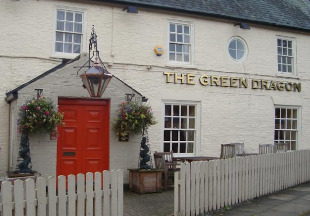 We are situated on the village green, just 5 minutes from the A1M and close to Harrogate, York and Ripon. 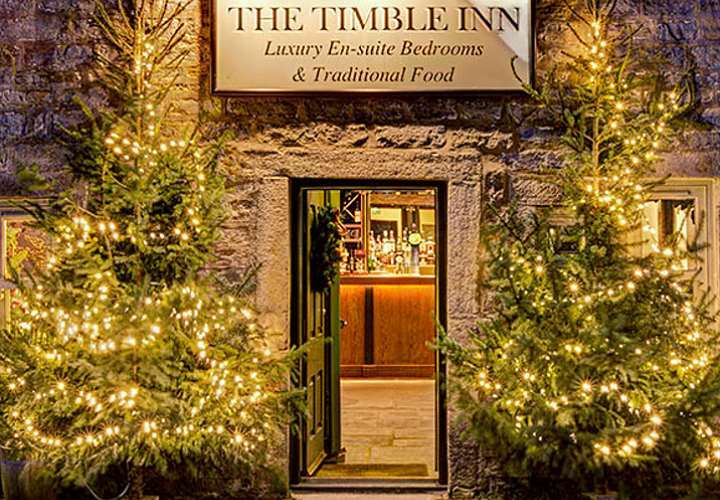 The Timble Inn is a Grade II-listed 18th Century Inn, recently awarded a 5 Star Silver Award. The inn features nine luxury letting rooms, as well as a 2 AA Rosette awarded restaurant serving fresh, quality, and local food. Set in an area of outstanding natural beauty, walkers can either walk directly from the hotel, taking in the glorious Lower Wharfe and Washburn Valleys as well as the guided routes around the Swinsty and Fewston reservoirs or drive a short distance to the breath-taking North Yorkshire Moors. 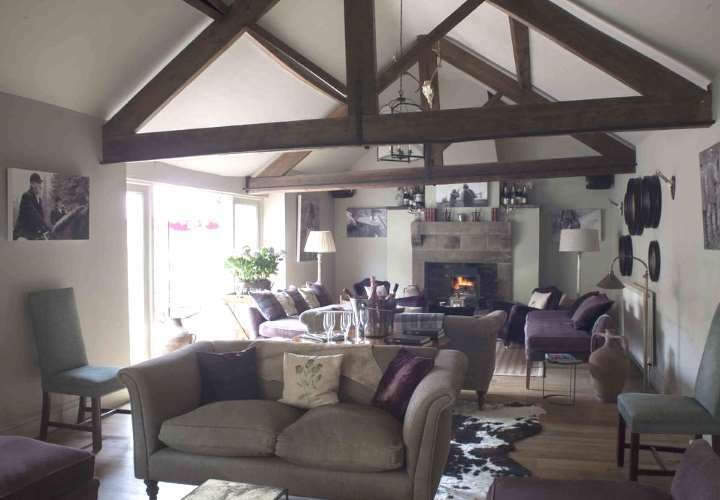 Part of the Dawnay Estates and set on the edge of the magnificent Yorkshire Moors National Park, only six miles from the coast, this 17th century former farmhouse offers you an intimate and historical setting for that special meal or relaxing drink with friends. 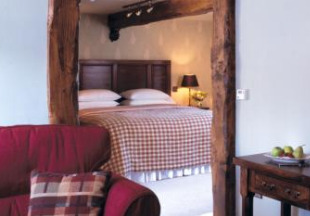 The Downe Arms has 10 very individual en-suite bedrooms, some with exposed beams. Our cosy bar offers a selection of fine beers, premium bottled lagers, quality wines and spirits. Our charming restaurant is just perfect for a relaxed lunch or in the evening, for an intimate candle-lit supper with friends, family or that special someone. Standing next to York Minster, the Guy Fawkes Inn was the birthplace of the notorious plotter, Guido Fawkes. The Inn offers en-suite rooms with free Wi-Fi, flat-screen TVs and AA Rosette Food. Adjoining Bootham Bar, the Lamb & Lion Inn offers en-suite rooms with free WiFi, flat-screen TVs and 2 AA Rosette award-winning food. 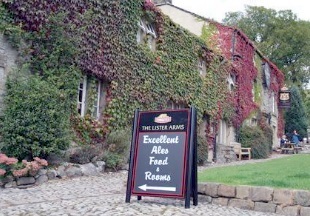 Welcome to the Lister Arms in the village of Malham, near Skipton in the stunning Yorkshire Dales National Park. 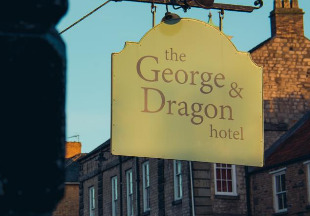 A welcoming blend of pub, restaurant and hotel rooms, with a well stocked bar and a varied menu of freshly prepared produce and seasonal ingredients. Situated in the Yorkshire Dales National Park, above the famous Aysgarth Falls in the heart of Wensleydale, this 18th century hotel offers a pub, dining areas, eleven en-suite rooms and outdoor terracing looking out towards the hills. Our aim is simple. To provide great beer, good food and company along with lovely, clean and comfy rooms. But more than that, you’ll be made to feel welcome from the moment you arrive… we like people and we think it shows! Set on the 30,000-acre Bolton Abbey estate in glorious Wharfedale, this traditional 17th century coaching inn has evolved into a luxurious country hotel offering exquisite food, a stunning wine list and warm hospitality. There is a choice of the Burlington restaurant for fine dining or the vibrant Devonshire Brasserie and Bar for more informal dining. AA Top 200 Hotel. RAC Gold Ribbon. Situated in the centre of the market town of Boroughbridge, this former 16th century coaching inn boasts an indulgent leisure spa with indoor pool, Jacuzzi, steam room, sauna and gym. Everything you need for relaxation is right here! The 37 bedroom hotel has excellent conference facilities and there is a large private car park. York is only 17 miles away and there is easy access to the A1(M)/J48. 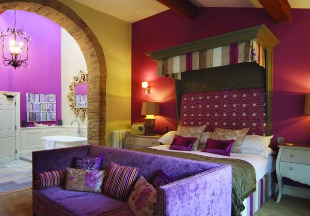 Located in the heart of Wharfedale and surrounded by spectacular scenery, the 16th century Red Lion offers 25 individually designed bedrooms with fabulous views. If you're looking for a non-corporate and un-stuffy hotel then the 'Lion' is for you! Our chefs work hard to produce a seasonal menu using local produce whenever possible; expect to see game, fish, sea food and delicious puddings. An ideal base for walking, cycling, fishing, shooting and sightseeing. 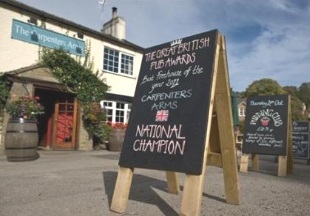 A traditional village inn in the heart of Felixkirk on the outskirts of Thirsk, the Carpenter's Arms specialises in providing its guests with high quality food, drink, service and surroundings. There is a wonderful traditional bar, stocked with local beers, hand pulled ales and a considered wine list. 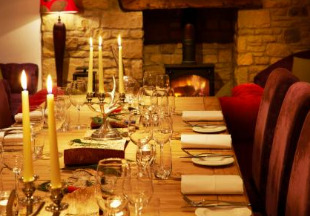 The Inn offers informal dining with large wooden tables and roaring open fires, as well as a beautiful ‘Garden Room’ restaurant overlooking open fields and the North Yorkshire hills. Sympathetically renovated and extended, The General Tarleton is now regarded as one of Yorkshire’s best country inns and dining pubs. 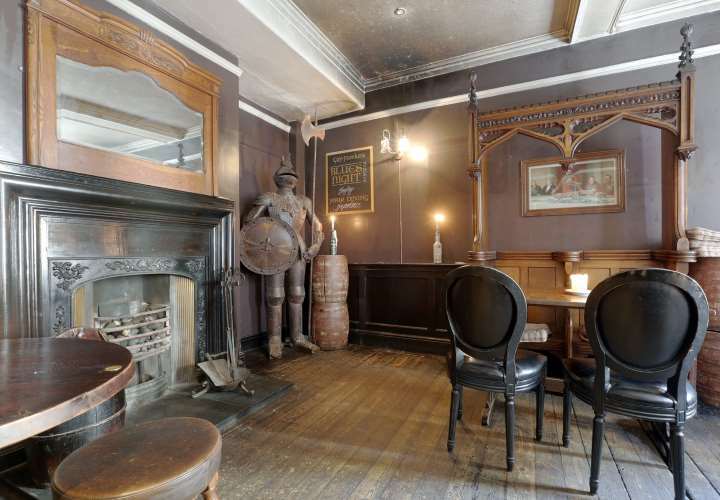 Originally built as a coaching inn towards the end of the 18th century it was named after the “butcher general” who fought in the American War of Independence. We have recently been awarded 5* Restaurant with Rooms status by the AA and Visit Britain. With a restaurant and bar, this privately owned hotel is on the edge of the North Yorkshire Moors, 15 minutes from Teesside and near Wainwright's Coast to Coast walk. 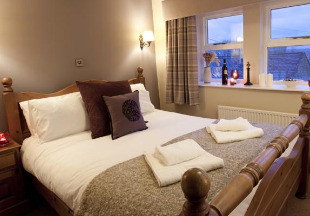 Wainstones Hotel has comfortable en-suite bedrooms with an excellent range of facilities. Endeavours Restaurant has a relaxing atmosphere, while the lounge bar mixes continental Bistro with traditional English village pub. A wine list is served beside local real ales. Middlesborough 5 miles. 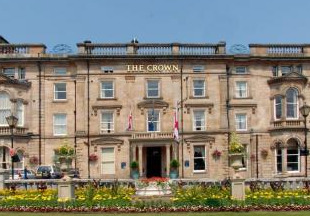 The Crown Hotel has stylish bedrooms with luxurious, Egyptian cotton sheets. Guests can dine in the Churchill Suite, with its oak-panelled walls, stained glass windows and ornate ceilings or at The Place, a sophisticated bistro with a European menu. The Place Bar serves morning coffee and light lunches, while Henry’s Bar offers a late night drinking lounge. Harrogate International Centre and the world-famous Betty's Tea Rooms are just a 5-minute walk away. Haworth is famed mostly for the Bronte family. Staying at The Fleece, the original Inn where Branwell Bronte, brother of the famous sisters, once drank (and it's said his ghost still does!) offers a cosy, rural sanctuary for those wishing to get away from it all. The full range of Timothy Taylor's award winning ales are served in the stone flagged bar and has featured in The Daily Telegraphs "Top 70 Great British Inns". 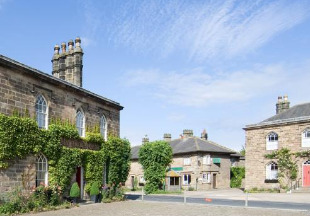 The Inn is situated on the picturesque and historic cobbled Main Street in Haworth. The 15th century timbered Black Swan at Helmsley is an historic inn and boutique hotel. Right in the heart of one of the North Yorks Moors' prettiest villages, the hotel blends antiques with classic contemporary design. The acclaimed 2 AA rosette Rutland Restaurant offers three distinct menus for dinner, all of which use ingredients sourced from within 30 miles of the hotel wherever possible. 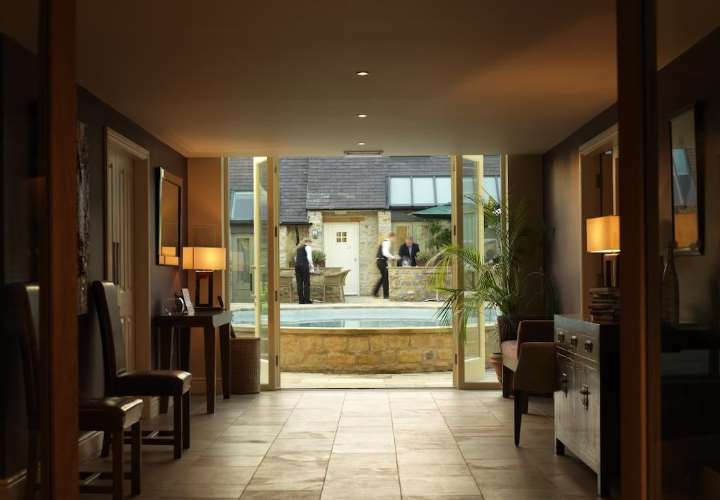 The Feversham Arms and Verbena Spa nestles on the edge of the North Yorkshire Moors in the picturesque market town of Helmsley. This is a hideaway hotel, offering a haven of laid-back luxury. It is a comfortable, eclectic, place. You’ll find our staff naturally welcoming and ready to get to know you. In addition to thirty-three bedrooms and suites, the hotel has spacious and welcoming lounges, a snug restaurant, pool garden, heated outdoor pool (open all year). 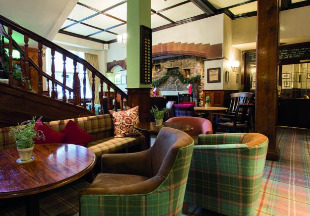 The Oak Tree Inn has undergone an enormous refurbishment programme. The Oak Tree now offers guests a wonderfully spacious traditional bar, stocked with local beers, hand pulled ales and wines. This is a relaxed area for informal dining and drinking. 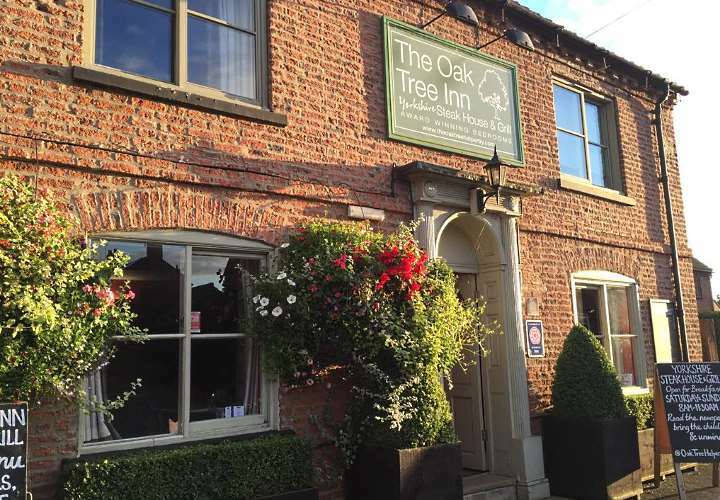 The Oak Tree Inn specialises in bringing its customers high quality food, drink, service and surroundings, including a superb private dining room and six en-suite bedrooms. Situated less than 30 minutes drive from York and 35 minutes from Harrogate. Visit England 5 Star Inn. 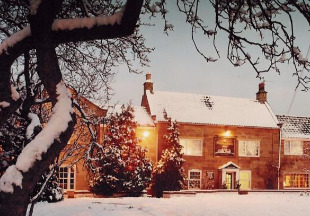 Built in 1841, the Worsley Arms is a country house hotel offering an excellent restaurant, roaring log fires and an ideal location for visiting York, 20 minutes away. Food is undoubtedly a highlight at The Worsley Arms, combining the best of traditional and modern cooking. The food can be enjoyed in the restaurant, or dine in the more informal Cricketers Bistro. 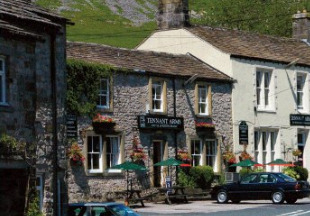 Welcome to the 17th century Tennant's Arms, sheltering under Kilnsey Crag in Wharfedale at the heart of the stunning Yorkshire Dales. 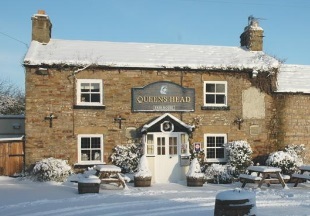 We are proud of our great food and drink, warm Yorkshire welcome and cosy accommodation. We are within easy reach of Grassington, Skipton and Bolton Abbey. A fine Georgian building dating back to the 18th Century, the Kings Head is situated in the Market Square of picturesque Masham. 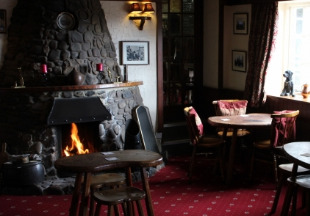 The hotel offers a warm welcome with an excellent menu and serves traditional Theakstons and Black Sheep cask ales and an extensive wine list, making it a popular choice for both locals and visitors. It has recently undergone a sympathetic refurbishment of the bar, restaurant and the twenty-three letting bedrooms. A warm Yorkshire welcome to this wonderful 16th century coaching inn. There are big comfy sofas to sink into whilst you decide what to eat for dinner. The restaurant has stone flagged floors and a roaring fire in winter to create the right atmosphere, candlelit at night for extra romance (reservation to be made in advance). The bedrooms are beyond expectations, designed only with your comfort in mind. The bar is a proper bar and serves a choice of real ale from Yorkshire. AA Rosette for food every year since 1997. Part of the Ripley Castle Estate, The Boar's Head is an old coaching inn in the unique village of Ripley on the edge of the Yorkshire Dales, an area of outstanding natural beauty, only three miles north of the spa town of Harrogate and seven miles south of Ripon. Our Brasserie serves well cooked local produce as well as produce from the Castle gardens. Good selection of wines and hand pulled ales. Our rooms all have en-suite facilities and are individually furnished. Welcome to the 17th century Lion Inn at Settle. 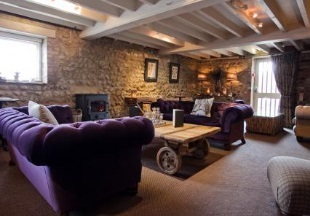 Relax in the hotel’s bar in front of a stunning inglenook fireplace. The large restaurant serves excellent food made from fresh local produce, and a wide selection of cask ales are available. Or dine al fresco dining in the courtyard area. 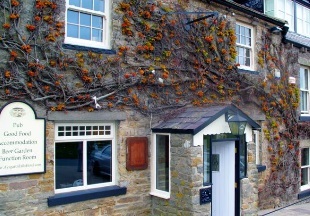 This 18th century coaching inn and restaurant is situated in Sinnington, a picturesque village at the base of the moors, with a pretty river and banks of daffodils. 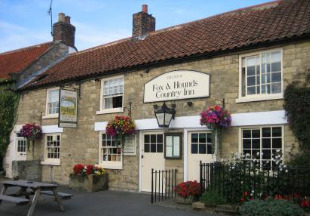 The Fox and Hounds offers a warm, friendly welcome with an AA rosette award for fresh modern British cooking. The ten comfortable bedrooms are all en-suite. You will find the Blue Bell Inn in the village of Weaverthorpe on the Wolds/North Yorkshire border. Relax in our oak beamed bar by our welcoming open fire. 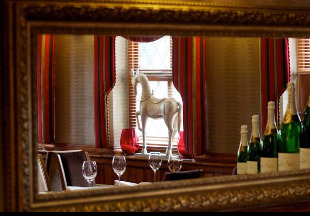 Dine in our restaurant or in either of our private dining rooms which offer excellent food and wine. To finish, stay in one of our en-suite rooms. We have six well appointed rooms in the Blue Bell inn awarded 4 stars and silver award. Our restaurant has a warm, cosy ambience, the perfect place to enjoy the fine food and wine for which we have gained an excellent reputation. 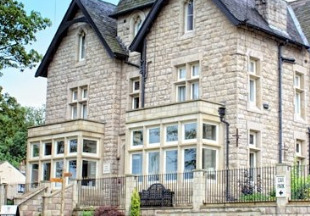 Set in the stunning Mayfield Valley amid picturesque countryside on the edge of the Peak District, which is an excellent base to explore the breathtaking scenery of the Peak National Park or Sheffield's many city centre attractions. The Norfolk Arms is an historic Grade II listed coaching Inn recently renovated, offering fantastic views, restaurant and bar, meeting rooms and conference facilities. The hotel offers 13 en-suite spacious and modern bedrooms. VisitEngland 4 Star Inn. 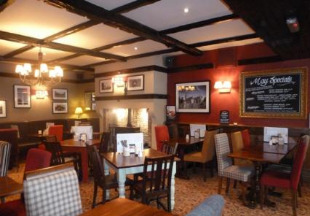 The Red Lion at Todwick oozes character with its oak beams, flagstone flooring and real fires lit in winter. This 19th century timbered building boasts 30 comfortable en-suite bedrooms, a cosy bar, restaurant and terrace offering seasonal menus, with real ales, wines, speciality teas and coffees. 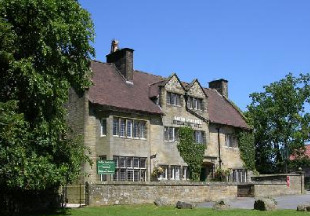 The Red Lion is just 8 miles from Sheffield, and only one mile from Junction 31 off the M1. 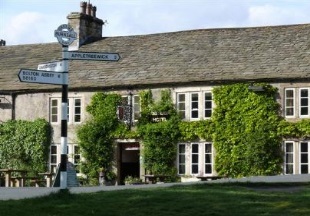 The Wheatley Arms stands on a hillside between the Cow and Calf rock formation and the River Wharfe, in the leafy village of Ben Rhydding, surrounded by charming groves and lanes, with super connections nearby; rail, road and of course, Leeds Bradford Airport are all within easy reach. The Wheatley makes an ideal stopping off place for that quick pint of hand pulled Yorkshire cask ale, locally sourced foods and the best accommodation in the area. There is a charming locals' bar, delightful lounge areas, inglenook fireplaces and a light and airy garden room for al fresco dining to enjoy, weather permitting! 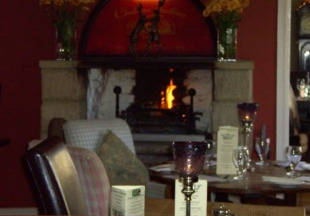 This 17th Century Inn offers an award winning restaurant and beautiful rooms converted from cottages. 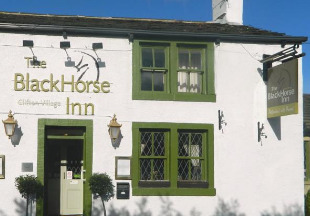 You will find The Black Horse Inn in the quiet village of Clifton, less than a mile off Junction 25 of the M62. Our 21 en-suite bedrooms retain all their original character. The Inn is packed with charming features including original oak beams, open fires, and a beautiful courtyard area to soak up the sun in the summer months. The Black Horse Inn has a long standing reputation for serving fine cuisine. 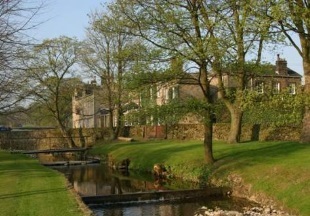 Shibden Mill Inn nestles in the fold of the Shibden valley overlooking Red Beck. The 17th century Inn is steeped in history and has been sympathetically renovated to retain its original charm and character. 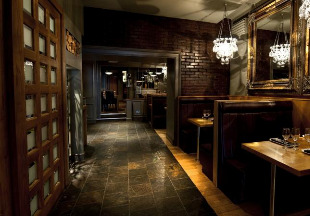 There is a cosy, friendly bar and an intimate candlelit restaurant. 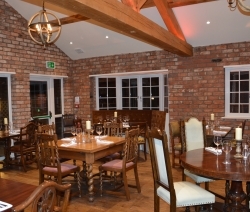 With its original oak beams, the Mill Room is a popular venue for business meetings or as a romantic location for diners. The 11 en-suite bedrooms have the warmth, style and quality you would expect from a country inn. Halifax 3 miles, Bradford 8 miles, Leeds 15 miles. 2 AA Rosettes for food. Yorkshire Life Magazine 2001 Winner "West Yorkshire Dining Pub of the Year”. 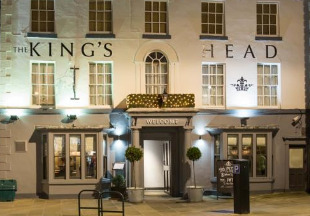 The King’s Head is situated in Beverley and offers unique accommodation in the centre of this historic town. The period building hides a contemporary bar and stylish modern rooms with all the facilities you can expect from a Marston’s Inn. Beverley itself is an historic market town and offers the attractions of Beverley Minster and Racecourse. The rooms are situated above our lively bar with a late license until 2am on weekend nights. The bar serves a full contemporary pub menu complemented by our range of wines, beers and soft drinks. 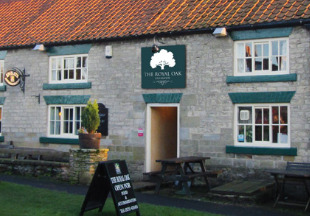 This 17th Century coaching inn, situated in the picturesque village of Welton, just 5 miles from the attractions of Hull, is the ideal location if you are ever thinking of stopping over when visiting Hull or exploring the Yorkshire Wolds. This hotel is ideally situated for walkers, cyclists and equestrian lovers and is just 2 minutes from the A63. The Green Dragon has 11 en-suite rooms located in the external stable block and all are comfortably furnished. There is plenty of parking. VisitEngland 4 Star Inn. Welcome to "God's own country", the largest county in England. This is the land of Yorkshire puddings, James Herriot, Harry Ramsden's Fish and Chips, Dracula, The Dales, Wensleydale cheese, TV's 'Last of the Summer Wine', the Bronte sisters and "On Ilkla Moor Baht 'at". Eboracum, as the Romans called York, was one of the most important settlements in Roman Britain. After the Romans left and the Vikings took York, they called it Jorvik. Visit this lovely old city and marvel at the medieval Minster and then go shopping in The Shambles. Yorkshire is blessed with more than its fair share of historic sites, including castles and ruined monasteries. But many visitors come here for the glorious countryside: the rugged North York Moors, the beautiful Yorkshire Dales and the wild moors of Bronte Country. We were spoilt for choice when it came to selecting what we consider to be some of the best hotels and inns in Yorkshire. For foodies, we have chosen gastro pubs like the Black Horse Inn at Kirkby Fleetham and restaurants with rooms like the Crown Inn at Roecliffe. 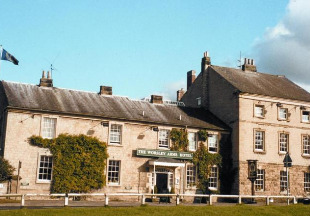 For a spot of luxury, check out the 5 star Timble Inn and the Angel Inn at Hetton. "One of the most historic cities in England, York is a must for every visitor to Yorkshire. And where better to stay than at the Guy Fawkes Inn, just a stone's throw from York Minster and built on the spot where the Gunpowder plotter was born. 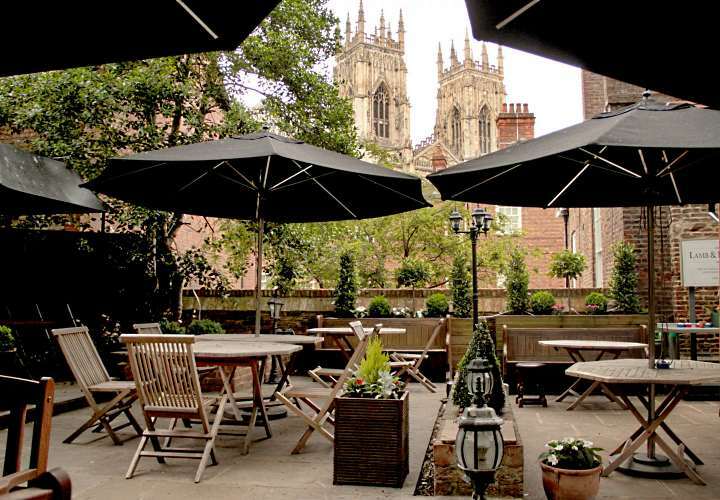 Or spend the night at the atmospheric Lamb and Lion Inn, set right by the medieval city wall in the shadow of the Minster." Yorkshire is bordered by Durham, Cumbria, Lancashire, Cheshire, Derbyshire, Nottinghamshire and Lincolnshire. 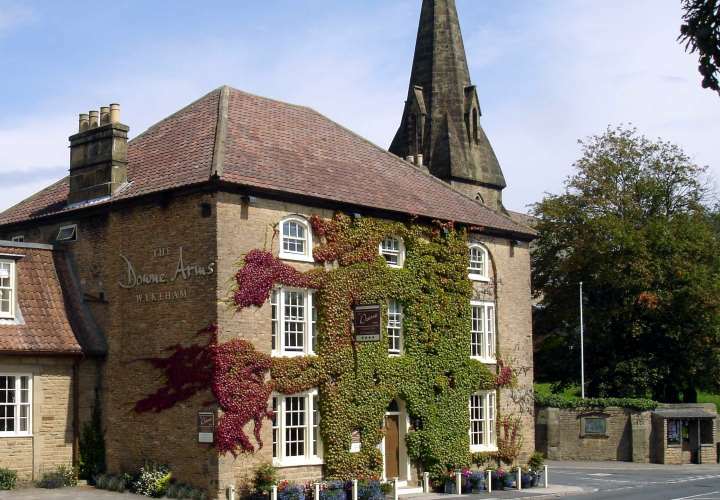 If you want to widen your search, why not browse through our selection of hotels and inns in Co. Durham, Cumbria, Lancashire, Greater Manchester, Derbyshire and the Peak District, Nottinghamshire and hotels in Lincolnshire.